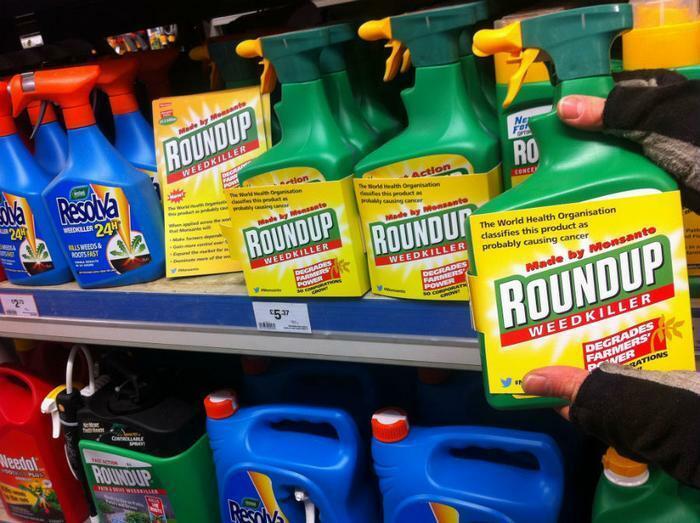 California's Office of Environmental Health Hazard Assessment (OEHHA) has announced it will list glyphosate, an herbicide found in Monsanto's best-selling Roundup weedkiller, as a known carcinogen. The effective date is July 7, 2017. The announcement had been delayed while Monsanto challenged the state's intended action in court. A court dismissed the case Monday and OEHHA said it did not impose a stay while the chemical company filed an appeal. If the court's decision stands, products using or exposed to glyphosate would be required to carry a warning label when sold in California. Monsanto issued a statement in response to the court's ruling, calling it "unwarranted on the basis of science and the law." Monsanto sued California 18 months ago to block it from adding Roundup to the Proposition 65 list of chemicals known to cause cancer, birth defects, and other reproductive damage. Prop. 65 requires the state to label all substances identified as carcinogenic or dangerous to the reproductive process. Monsanto filed the suit in Fresno County, Calif., maintaining glyphosate is not harmful. The use of the chemical has increased in recent years, as agricultural operations have used it on a variety of crops. Consumers are likely most familiar with it as the active ingredient in the weedkiller Roundup, used to control unwanted vegetation in suburban lawns and driveways. The company said California's OEHHA tested glyphosate in 1997 and 2007 and found it did not present a cancer risk to humans.